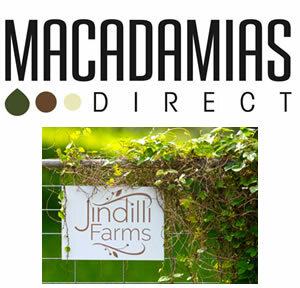 Macadamias Direct is a world class macadamia processing and bulk marketing operation located in Dunoon, NSW. We are located in the middle of the main macadamia growing region in rolling green slopes of coastal northern New South Wales. We process around 10% of Australia’s total macadamia production which equates to 4% of the world production. The business has more than doubled in size in the last 2 years and the plan is to continue with a strong program of growth going forward. The state of the art processing facility was designed with the primary aim of maximising the quality of our macadamias while maintaining a low cost operation. This facility holds HACCP, Kosher, and HALAL accreditations and has the capacity to process up to 5,000Mt per year. In addition to the nut-in-shell that MD receives from our own Jindilli farms, a large portion of the nut-in-shell we process is purchased from more than 100 growers across the industry, from Nambucca Heads in the south to Bundaberg in the north. Our team of field staff work closely assisting our expanding grower base to ensure they are maximizing their production while at the same time remaining focused on the requirements of our customer base. We have differentiated ourselves from our competitors through the quality of our product and the focus on our customers. Our aim is to actively seek out those buyers that demand quality and to work with them to create long-term mutually beneficial partnerships. Our customer base includes some of the worlds leading food companies, which are located in more than 10 different countries around the globe. We are also obviously a critical part of the Jindilli supply chain, that allows Jindilli to produce an expanding range of innovative macadamia based consumer products. Become part of the success story that is Macadamias Direct and Jindilli.